After heading back to the ballroom from taking photos at the estate, we got ready to photograph the Vara Yatra. This is custom of the arrival of the groom, his family and party to the ceremony. 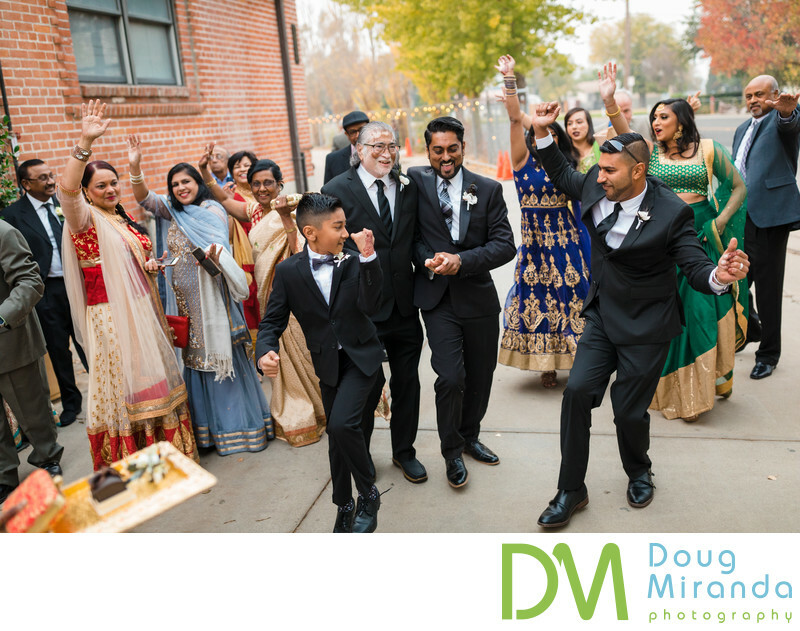 The dance and sing there way into the ceremony, but first they greet the brides parents before entering the ceremony site.